Arthroscopic meniscus repair is an outpatient, low-risk procedure to repair a partial or complete tear of the meniscus. Depending on the severity of the tear, the meniscus repair includes sewing the torn edges together, trimming away the torn meniscal area and smoothing the injured area (partial meniscectomy), or removing the meniscus completely (total meniscectomy). 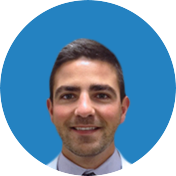 During the arthroscopic meniscus repair, small incisions are made in the front and back of the knee. Through the incisions, a small camera called an arthroscope is inserted into the knee joint. After the injured area of the meniscus is located, the surgeon then continues with the type of meniscus repair that addresses the issue completely. 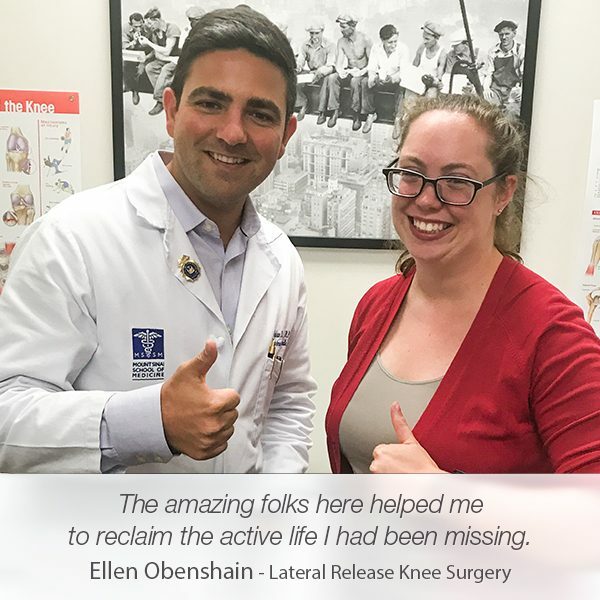 In most patients, the meniscus repair procedure takes only a couple of hours, and patients are able to leave the surgery center the same day. 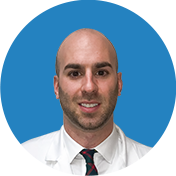 At Manhattan Orthopedic Care, we strongly believe that providing a comfortable and supportive environment for the patients is crucial for a smooth recovery process. 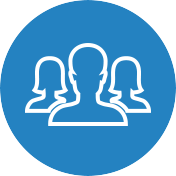 We always put our efforts together to provide gentle and serene orthopedic care. 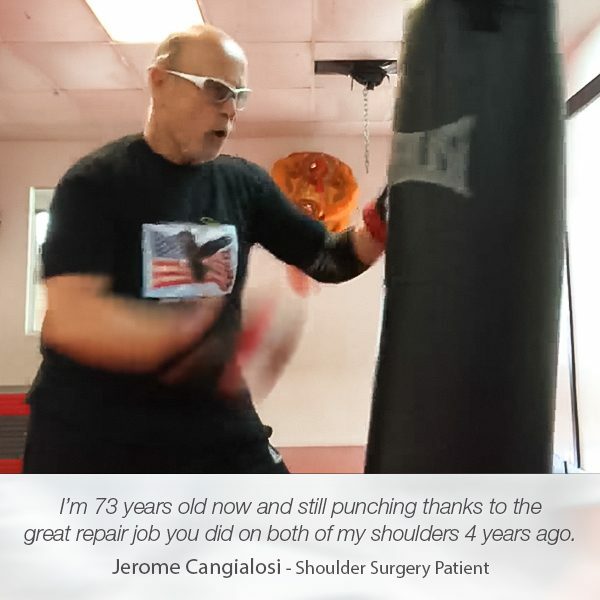 Gregord Jerme’s Google review confirms our firm dedication to helping the patients enjoy a pain-free life shortly after their treatment is completed. He arrived at Manhattan Orthopedic Care with a lateral meniscus tear on his right knee. 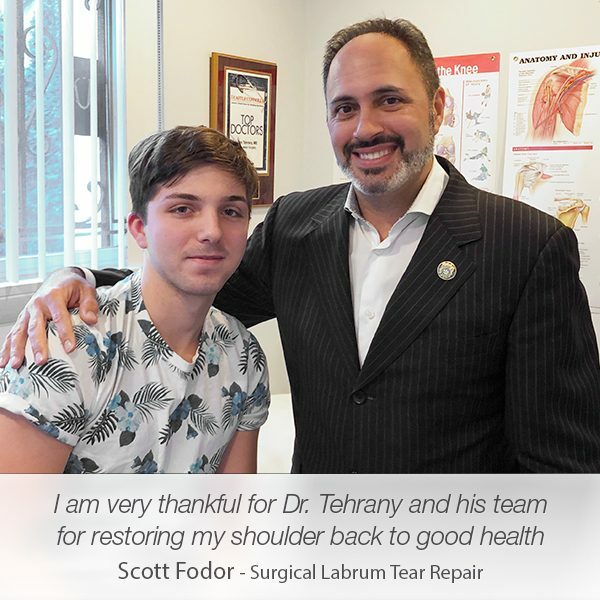 Prior to scheduling the procedure, Dr. Tehrany and his team of orthopedic professionals agreed on the most suitable treatment option for Gregord – an arthroscopic meniscus repair that will address the issue and help Gregord continue his everyday activities without any pain in his knee. 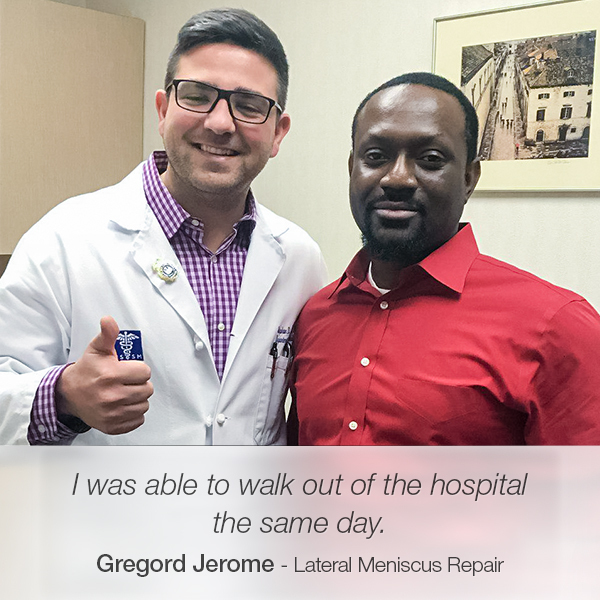 After the successful arthroscopic meniscus repair, Gregord felt positively excited to have his knee healthy again, and moreover, ready for action and sports. 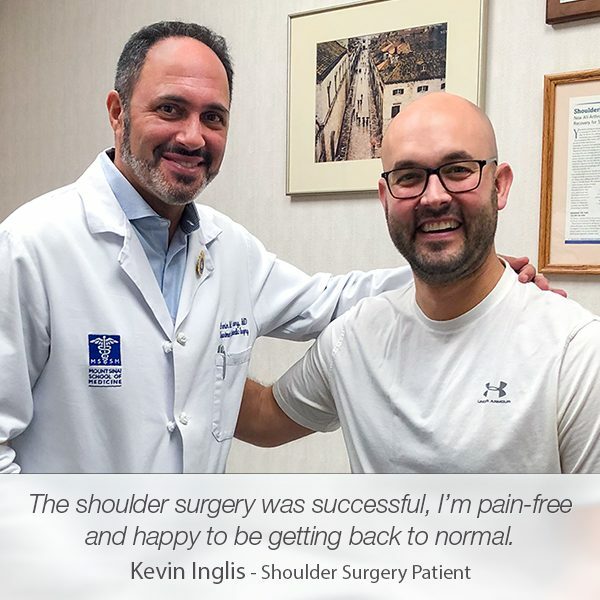 Since the procedure was followed by a short, yet excellent recovery process, Gregord was able to get back to work only a few days after the surgery. 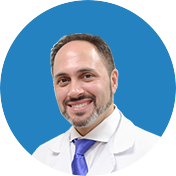 Thrilled to be back on track with his active lifestyle in no time, Gregord wrote a lovely review praising Dr. Tehrany and the staff at Manhattan Orthopedic Care.